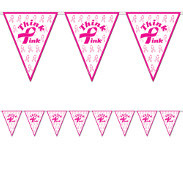 We have a great selection of Pink Ribbon Decorations and Breast Cancer Awareness Party Supplies for you to choose from. These favors and accessories will be great for setting the theme of your upcoming event or fundraiser. 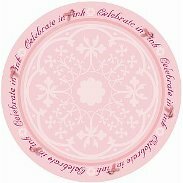 Authentic party supplies for helping raise awareness for breast cancer at your upcoming pink ribbon event will help bring people together in support of what is one of the most difficult issues of our time. These items can be great if you are raising awareness, throwing a fundraiser, or hosting any other type of event. Whether you are respectfully honoring and celebrating the lives of those who have passed or rejoicing over the survival of a loved one, our products can definitely help you do it the right way. Look through our extensive collection of party supplies for pink ribbon and breast cancer awareness today to find the ones that will work best for your gathering. 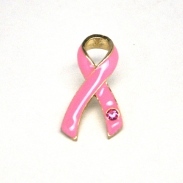 Our pink ribbon products can help create the right tone at any event. Beyond setting the appropriate color scheme, they can help you establish the perfect atmosphere for what you are trying to accomplish. We have awesome favors and apparel that can be handed out to any of your guests amongst many other breast cancer items and party supplies. Make sure everyone is feeling the full spirit of support at your event. We have such a wide assortment of products that you should not need to shop anywhere else to get everything you need for your upcoming gathering. 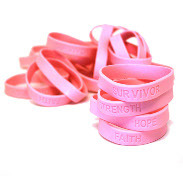 Our extensive selection of breast cancer supplies and pink ribbon products is amongst the best you could possibly find anywhere. We can definitely help you have a successful fundraiser or exciting event. From tableware and decorations to bracelets and shoelaces, we can definitely make sure you are covered from all possible angles.